Indianapolis, IN - Midland Atlantic Properties is pleased to announce the addition of Jacque Haynes, CCIM to its team. As a designated CCIM (Certified Commercial Investment Member) with 30 years in the business, Jacque will boost the productivity and effectiveness of all Midland Atlantic’s efforts. Prior to joining Midland Atlantic Properties, Jacque was Senior Director at Cushman & Wakefield for 9 years. With a comprehensive understanding of retail development, leasing, and asset management as well as property acquisition and disposition, Jacque has created value for national and local developers, institutions and private owners throughout her extensive real estate career. For the past several years Jacque represented Duke Realty at Anson in Whitestown, Indiana generating over 300,000 square feet of commercial development including shopping centers, hotels, and restaurants and overall completed over $25M in transactions in 2017. Jacque is an active member of ICSC, CCIM, and Urban Land Institute where she serves as Co-Chair of ULI’s Women’s Leadership Initiative. 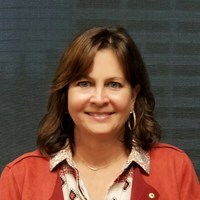 Currently serving on the board of Vineyard Community Church, she previously served nationally as Membership Chair for CCIM Institute, past President of Indiana’s CCIM Chapter, and was a charter board member for Dye’s Walk Country Club. She has also received many awards throughout her career including Top 10 Retail Broker (Americas), George C. Charbonneau Leadership and Performance Award, CCIM’s Jay Levin Leadership Award, CW’s President’s Club, Duke Realty Top Broker, Indianapolis Rising Star and CoStar Power Broker Awards.